If you’re like homeowners in Mesa and the surrounding areas, then taking care of your pool can easily get lost in the shuffle of daily life. At Take 10 Pools, we know that proper pool maintenance is both time-consuming and inconvenient, and our expert pool technicians are here to help. You can learn more about our maintenance services below, and you can get in touch with us here to schedule an appointment! There’s so much more to taking care of a pool than simply adding a bit of chlorine and jumping in. You need to ensure that the water levels are properly balanced, and you also need to check to make sure that every piece of your equipment is working properly. 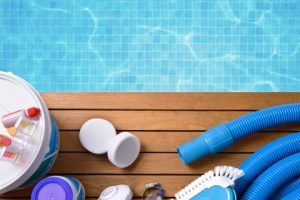 Too much chlorine can seriously harm your hair and skin, and broken cleaning components can allow bacteria and other unwanted organisms to thrive in the water. These considerations are even more important if you are a commercial pool owner, as you need to ensure that every aspect of your operation is up to code and is safe for everyone who dives in. If any components are broken or need to be replaced, we’ll work quickly to get you high-quality parts. See our Pool Repair page for more information. Every pool is slightly different, so please let us know if you have any special circumstances or needs that should be addressed during your appointment. We’ll come up with a maintenance plan that perfectly fits your needs and exceeds your expectations, without exceeding your budget. 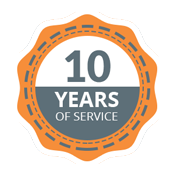 Take 10 Pools is proud to be Mesa’s Top Rated Local® pool service and repair company. Whether you need us to come inspect your pool or resurface the entire area, our experts are here to help! Give us a call at (480) 210-9122 or fill out the form at the bottom of this page to get started. We look forward to speaking with you soon!